Uniquely beautiful hairbands tame tresses with elegance. Large, faceted faux gems are surrounded by clear rhinestones for a decidedly polished look. Elastic band. 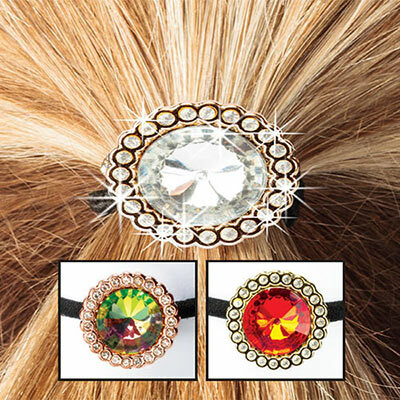 Set of three Bling Ponytail Holders includes one each: Mystic, Clear and Ruby-tone gems. 2½" dia.